Laptops and other Wi-Fi enabled devices are welcome in the library. Please be sure your device is muted to avoid disturbing other readers. 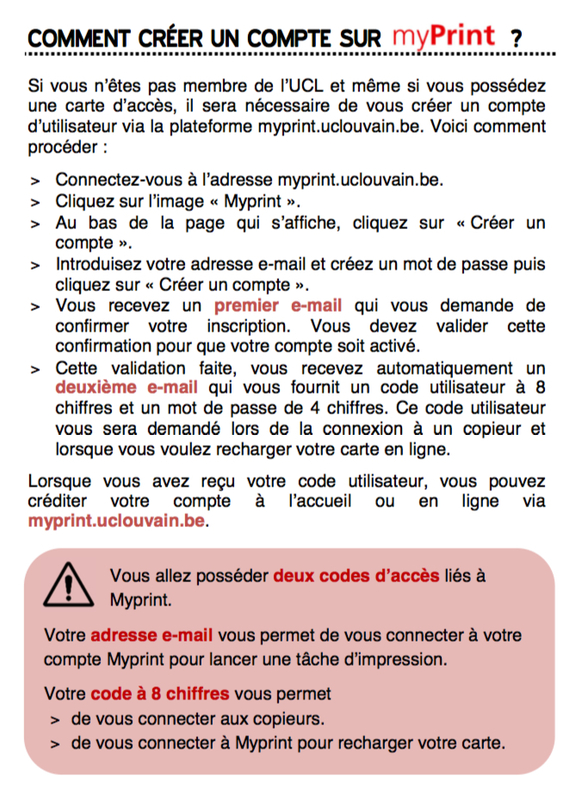 The procedure to connect your device to the network is described on this WiFi page. Connecting to the UCL network will allow you to access all the UCL electronic ressources. A computer mainly dedicated to the consultation of the catalogue is also available at the library. There is a copy machine at your disposal in the library that allows you to copy or scan documents. 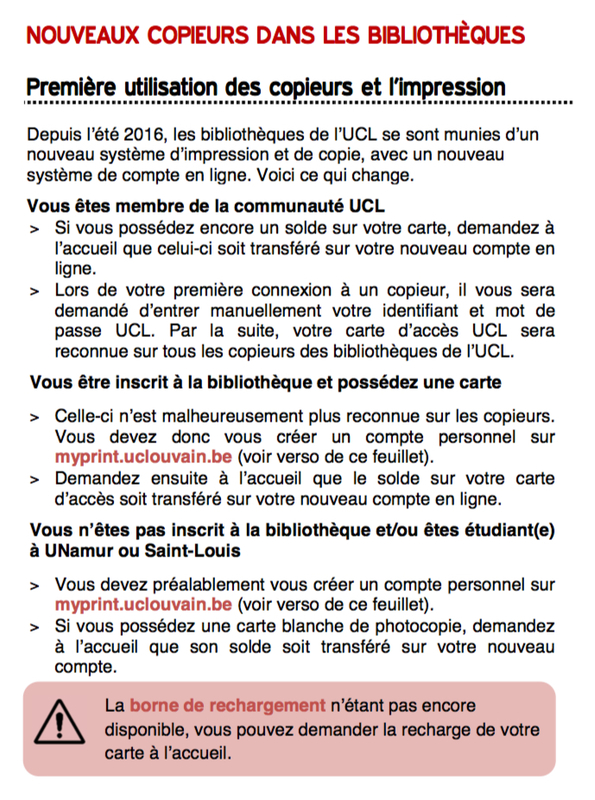 To use the copy machine, you need a UCL card or a myPrint account. Your account can be charged by the librarians (or by yourself with Paypal). 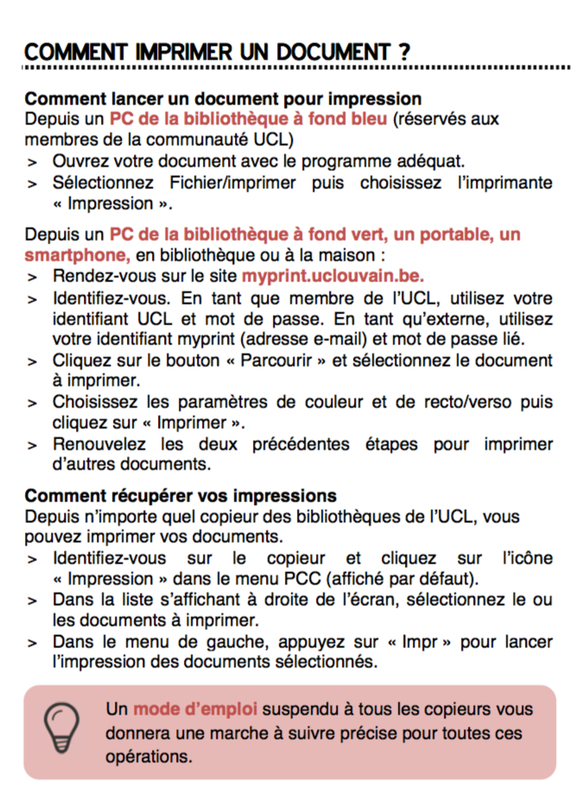 If you do not find a document at the UCL libraries, it is possible to get it from an external library. The LIDAM library has not an interlibrary loan service of its own. Readers are advised to request their book and article via the ILL page. Please note that you have to pay for this service.